It has been just 7 months since Amazon first launched in Australia, back in December 2017, where there was initially no sign of Amazon Prime. With only the promise that it would be available in the not so distant future. Amazon kept their promise and here we are 7 months later and Amazon Prime is now available in Australia. But how does this suggest that Amazon is set to take over the world? They may not be the dominant player in Australian e-commerce just yet, but at the rate in which it is growing in other countries… Amazon’s net sales revenue in 2017 was close to 178 billion U.S dollars… We can only expect it to be soon. Currently, Amazon has online stores in China, India, Japan, Singapore, France, Germany, Italy, Netherlands, Spain, United Kingdom, Canada, Mexico, United States, Australia and Brazil. With Amazon Prime available in 13 of these countries. It is estimated that roughly 50% of consumer product searches now start on Amazon, which makes it no surprise that more and more retailers and sellers are now finding themselves listing on Amazon. High street stores are slowly becoming a thing of the past, making room for Amazon to expand more and more online. So, a question for you… If you’re a brand and seller reading this, are you listing on Amazon? If the answer is yes, how is it working for you? Are you getting the results you’d hoped for, are you new to selling or an experienced seller? 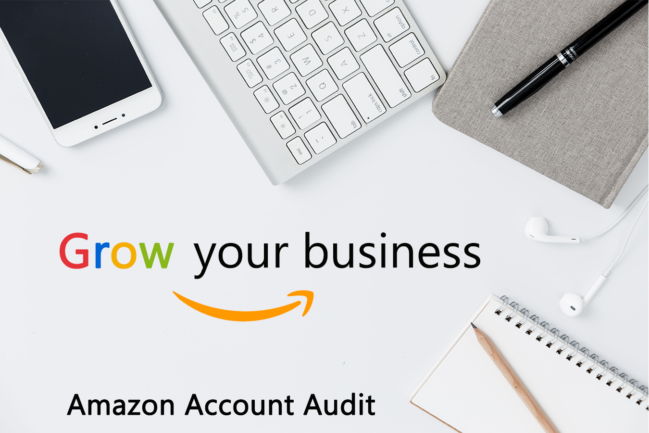 Whatever your current situation is, we offer an in-depth Amazon Account Audit Service which can help you determine whether you’re making the most out of Amazon. Our team of experts will review your account and offer an independent analysis of its performance. We can analyse in Seller Central, Vendor Central and Amazon Marketing Services (AMS). With our systematic approach, we will identify strengths, weaknesses, threats and opportunities for improvement.